Wouldn’t it be great if there was a diet plan that was absolutely perfect for you? You know… a diet that is tailored exactly to your specific goals and body type, and meets every single one of your dietary needs and personal preferences. 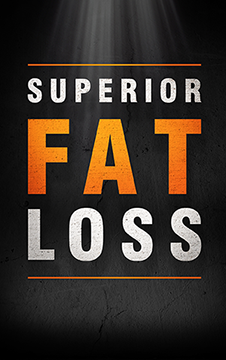 Basically, wouldn’t it be great if there was a diet that will allow you to reach your goal (losing fat, building muscle, whatever) in the most effective, convenient, enjoyable and sustainable way possible? Well, as of today… there is. The Best Diet Plan is a completely FREE step-by-step guide to creating the diet that is best for you. It will walk you through every single important aspect of diet and nutrition to show you exactly how to put together the diet plan that will work best for your goal and fit best with your preferences. All my research into a healthy diet and such has been confirmed by your explanation – which is refreshingly laid out in ‘laymans’ terms; in fact, it’s an entertaining and fun way to learn about how to eat properly for optimal health. A person interested in eating correctly doesn’t have to go anywhere else for information – it’s all right here. I hope your readers/followers understand that, just how you explain it, it ‘ain’t rocket science’ – it’s a simple way to understand that what we scarf down our gullets really matters… Thanks for making this information free to the population – hopefully more people catch on to it because it has a potential to dramatically improve the health of the general population. Congratulations on a brilliant job well done! Thank you Stu! All of the compliments are definitely appreciated. Happy to hear you liked it… and also happy to hear about your awesome post-angioplasty progress.